These big chewy cookies come originally from The River Cottage Family Cookbook. 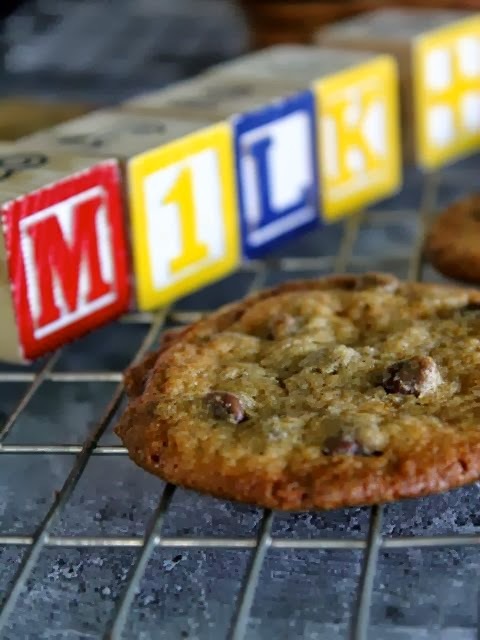 I use a bag of chocolate chips instead of chopping up a bar to cut down the workload even more, making them perfect for after school cooking with the kids. They are easy-peasy, taking no more than 10 minutes to make, and 10 to bake. They are also an excellent ice-cream sandwich cookie, simply fill with chocolate or vanilla ice-cream when they are completely cooled and return to the freezer to firm up a little before passing out to the troops. Dot heaped dessertspoonfuls of the mixture on to 2 baking sheets lined with baking parchment, leaving a good 4cm in between each one as they really spread out. Place in an oven preheated to 190C and bake for 8–10 minutes, until the cookies are turning pale golden brown. Remove from the oven and leave on the baking sheets for a couple of minutes to firm up. Then carefully lift the baking parchment on to a wire rack and leave to cool completely. Inevitably they will be eaten as soon as they are cool enough not to burn fingers. Makes about 16 very large cookies. P.S. These are Holly Stephens favorite cookie, so I hope you make them up to standard, mammy Sinead. No pressure, like! 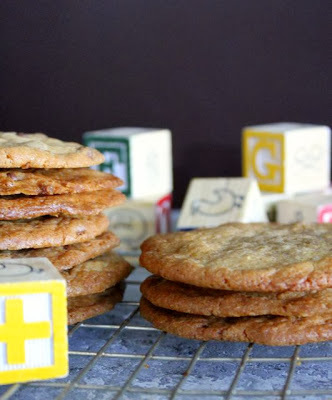 I am awfully sad now that my daughters are too old for the charming wooden blocks and will need a cookie to console me. Great post, really love your photography! I made these cookies the other day, very nice indeed even if they didn’t look quite as good as yours! They are brilliant, aren’t they? Ah Mise, I thought mine were too old as well, but sadly the youngest did a year in preschool, a year in primary school, and neglected to learn the alphabet. So we are back to square one with her. So yes, the charming wooden blocks are out again. I am a little more obsessive than most about the finished product looking nice for a photo I suppose. I like him as well. Have you made his Tupperware Chorizo? It’s so good. 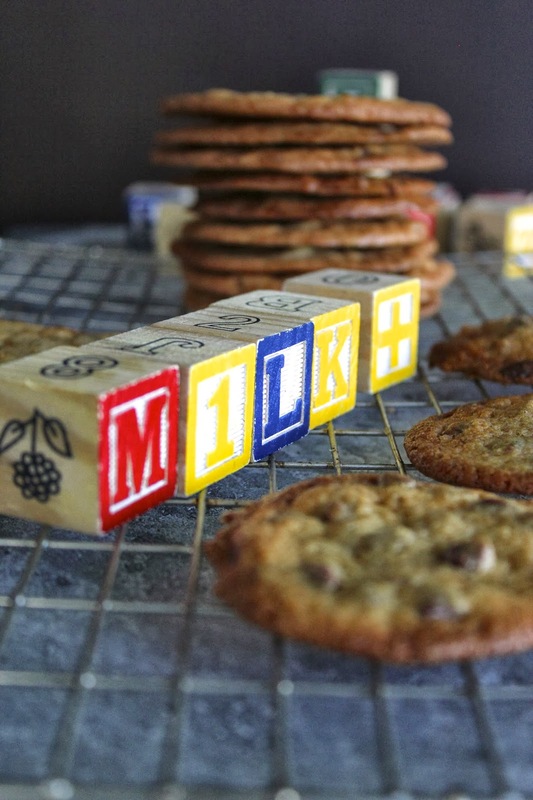 Your cookies are as pretty as mine, and for sure your wooden blocks are very cute.